until the destruction of Breisach in 1793. It still offers excellent views towards the Black Forest and the Kaiserstuhl. Flowers and medicinal herbs will be planted by volunteers to be enjoyed by visitors and local residents alike. In addition, it will also serve as a beautiful backdrop for small events. 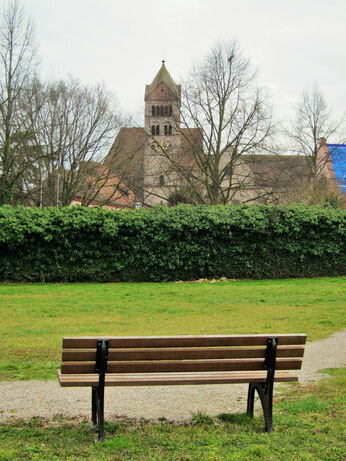 The Franciscan Physic Garden offers visitors an extensive view of Breisach and its surroundings and highlights the beauty of this site. View towards the Münster from the garden.